There’s more to a good relationship than just software. That’s why we’re committed to giving you the support, attention, and advice your moving business deserves. Contact usto discuss your business needs. A must-have legal plan for interstate carriers! Interstate household goods carriers must participate in arbitration program and offer their customers the option to arbitrate if a settlement cannot be reached through the claims process. As part of our constant search for ways to assist carriers and become a one stop shop for all carrier services needs, CSI is now proud to offer our NEW Arbitration Program for member carriers. It is our goal to make sure all carriers are have the option to be in compliance as required by federal law. Get to a quick and professional claims resolution by a trusted brand. Release Forms and other documents are synced and stored to your CSI online account with unlimited storage. You can then use your smartphone or desktop to access the claims list, upload documents and approve settlement amounts. Release Forms and other documents are synced and stored to your CSI online account with unlimited storage. Count on CSI's trained and experienced team to act with a sense of urgency. Our Conflicts Department has mastered the field of resolving a wide variety of conflicts such as complaints filed with AMSA, BBB, DOT and all Public Utilities complaints, Credit Card Charge-Backs, and online consumer review sites such. We help you protect your reputation while communicating your side of the story to the public entities. We make sure to keep your records with the different entities a ‘Satisfactory’ one. We'll get your license and prepare you for DOT audits. As part of our umbrella services, we have expanded and now offer the registration of a new operating authority with the DOT. Dreaming of having your own DOT Operating Authority? We can set you up! Get yourself an insurance coverage and let us do the rest! When our carriers go through DOT audit we communicate with the auditors on site regarding their claims and tariff questions and provide all the reports and files needed. We provide you the support you need in real time and help you properly prepare for future audits to avoid violations resulting in expensive penalties. Customized for you, simple to fill out, and has been audited by DOT to be compliant. CSI has published interstate and local tariffs for carriers nationwide since 2008. CSI’s tariffs have been inspected by the local and federal DOT investigators for many years and were found satisfactory. CSI tariff publishing service includes an electronic and printed copy of your tariff and *free updates while on retainer service with CSI. Our comprehensive Moving Contracts have been tailored to suit our movers’ needs. They are clear and easy to use and eliminate errors while providing extensive protection even when dealing with unique situations. Free up your employees to do their jobs. We will take the calls. Our exposure to the claims & complaints filed by customers from all of our carriers nationwide has taught us what are the major conflicts and issues they are most concerned about. As we have mastered the post move problem solving and have the mediation skills required to solve claims and conflicts, our experience proves that the same areas of expertise are required for overcoming obstacles during transit which makes us the best selection for your customer service needs. Let your employees freshen up on regulations and sales techniques that achieve better results. CSI has been providing training to carriers nationwide since 2006. Our approximately 2 hours seminars have been popular due to the techniques taught and sales results achieved. By following the procedures we cover in our training sessions we help movers eliminate problems occurring at pick up and which can later extend to deliveries. Assists sales representatives in understanding the responsibilities their position entails; the importance of providing accurate estimates; recognizing customers’ needs; understanding the ins and outs of the moving industry to better assist customers with coordinating their move while standing out in a competitive market and reaching their sales goals. Training your sales team will assure the prevention of conflicts with customers during the move and will set your drivers up to a successful performance. Review the latest updates in moving regulations and safety requirements, provide tools to avoid customer disputes and conflicts, teach the importance of properly signed contracts along with correct compilation and notation of charges, and the different valuation options. 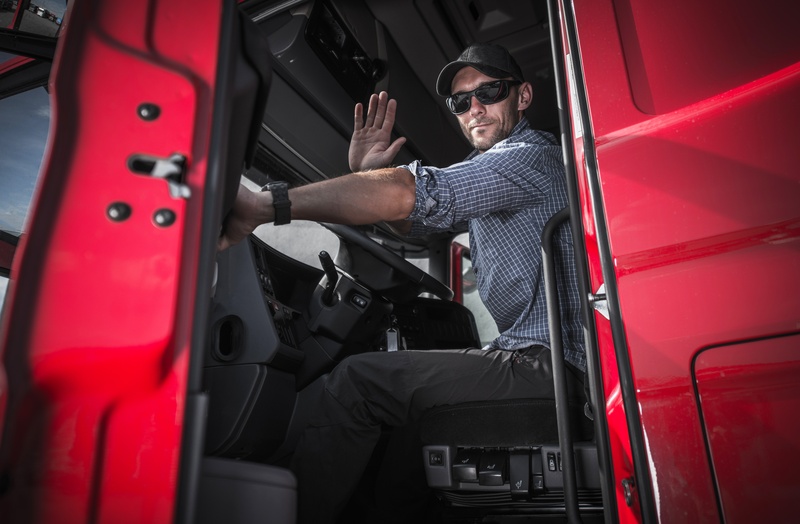 Trained drivers are the key to a successful move, good reputations and the prevention of complaints and penalties. Proper packing methods, the importance of accurate labeling, disassembly & assembly methods, proper stacking of trucks, non- allowable items, documenting damaged goods, avoiding property damage. Needless to say, after such a long and tough moving process, keeping your money in your pockets rather than paying it on a claim would be your best interest. Monitor claims progress for quality control and be ready for DOT audits from anywhere at any time. 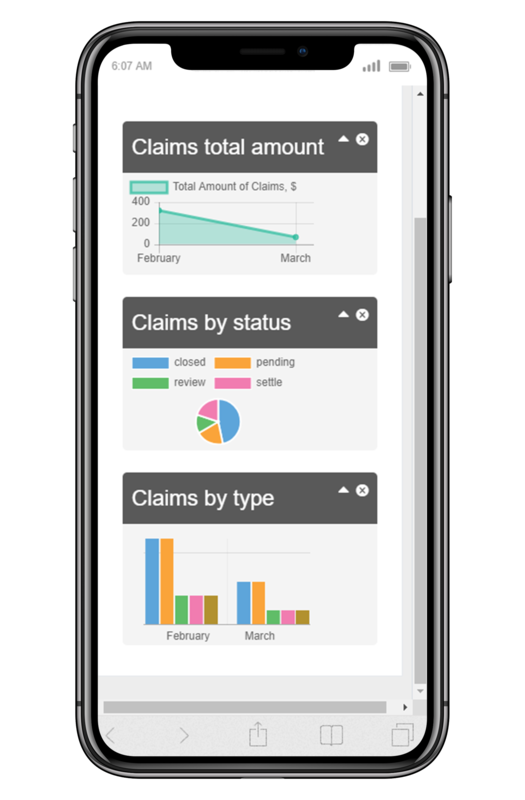 We are proud to launch our new claims & complaints management system which was designed with the best user experience in mind for both carriers and customers. Our system allows carriers to closely monitor the progress of their customers’ claims for quality assurance and hands-on approach. 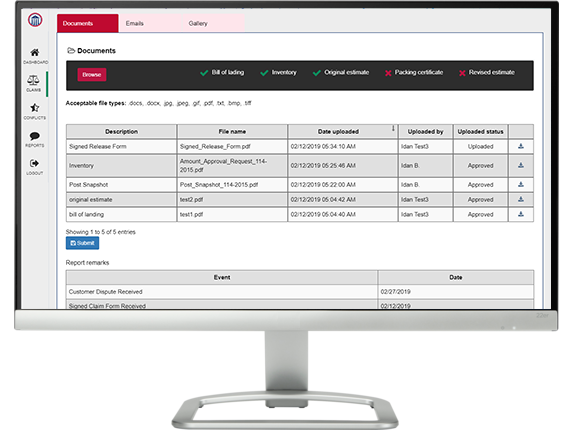 The system features instant and detailed reports for QA departments and DOT audits, a payment follow-up system for timely resolution of settled claims, and free unlimited online claim file storage managed by CSI. The system offers carriers the most transparency ever offered by any third party claims service. We’re here to help you and your customers with anything from setting up your online account, to inspection appointments and regulatory advice. Free up your phone lines to new business, and regain the customer's trust by placing their claim in the hands of professionals. Get your license, arbitration, tariff and contacts, and hit the road. Train your team to excel and set up your professional customer service. Resolve your customers' claims, disputes and conflicts. With CSI Carrier Services you get increased sales, better-trained employees, and remain compliant. It's easy to manage claims with CSI. You can find everything online and we're always a phone call away, just in case you need us.